Eugene McCarthy reports on how vast improvements in optical resolutions and 3D imaging are allowing laboratories to simplify routine tasks and carry out real-time cell imaging. A novel upgrade from Olympus is allowing researchers who use microscopy for cell and tissue imaging to obtain optical resolution of up to 120nm. With Olympus FV-OSR software, the FluoView FV1200 confocal laser scanning microscope is transformed into a powerful system for super resolution microscopy – giving easy access to what was previously the sole domain of highly specialised microscopy systems. The extra detail offered by super resolution technology helps researchers reveal the subtlest mechanisms at work within cells or tissue. Compared with standard wide-field imaging, 3D confocal laser scanning microscopy achieves vastly improved lateral and axial resolution. However, it is still limited by the diffraction limit of light. In certain settings, images can greatly benefit from enhanced contrast after post-acquisition processing. This is where super resolution microscopy comes into play, breaking the diffraction limit of light and enhancing cell- and tissue-imaging studies. The company says that this approach makes the technology far more accessible to the life science research community because of its low cost when compared with traditional super resolution microscopy. Capitalising on the flexibility of the modular Olympus IX83 automated inverted microscope platform, the FV1200 system is optimised for a diverse array of live cell imaging applications including fluorescence recovery after photobleaching (FRAP), fluorescence loss in photobleaching (FLIP), and photoactivation. Capable of handling up to five simultaneous fluorescent detection channels, the FV1200 also includes what Olympus describes as the industry’s first dedicated laser light stimulation scanner (SIM scanner), achieving simultaneous stimulation and imaging for real-time visualisation of rapid cell responses. Meanwhile UK company Image Solutions says that a new device from Yokogawa that it is now offering is an industry first because it uses 3D imaging to accurately measure cell clusters without the need for cell separation. The CQ1 confocal quantitative image cytometer can accurately quantify the morphological features of live individual cells, clusters such as spheroids, colonies and also tissue sections without the time consuming need to separate cells or remove them from a culture dish (Fig. 1). Unlike conventional devices, the CQ1 uses a microlens enhanced dual Nipkow disk confocal optical system to obtain accurate 3D images of cell morphological features and measure cell position. This allows scientists to obtain more accurate and reproducible data by maintaining the original biological functions and features of the cells in cell clusters. It is also possible to continue culture experiments for repetitive measurements in order to examine chronological changes – saving time and improving testing efficiency. A fully customised CQ1 system can also be integrated with external systems for robotic culture dish handling. The CQ1 is already growing in importance in areas such as regenerative medicine, cell quality evaluation for drug discovery, pharmacology, biopsy evaluation and the study of cancer and other diseases where it is essential to accurately quantify live cell morphological features without interfering with the cell’s biological functions. It is also becoming very important in other types of cell-related research that involve fluorescence in situ hybridisation (FISH). 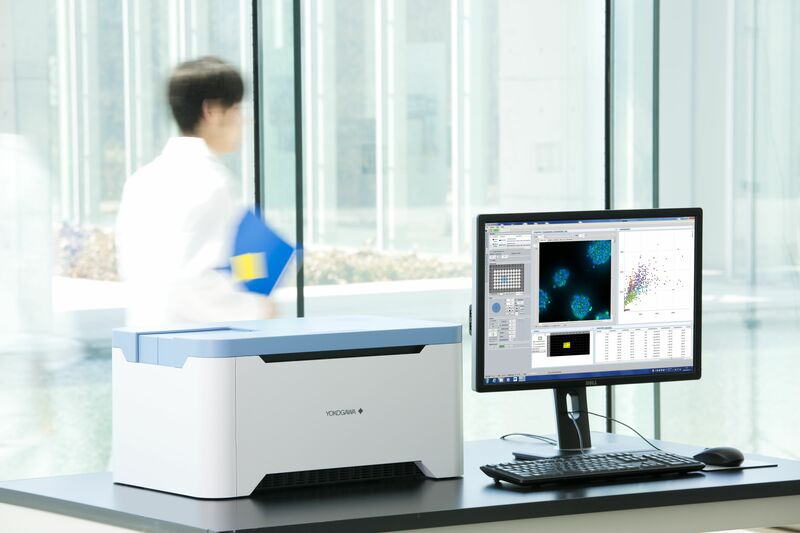 The latest from Shimadzu, the iMScope TRIO, is an advanced imaging technology platform that brings together mass spectrometry and high resolution morphological images. The company says it is the world’s first imaging technology that supports high resolution morphological imaging from an optical microscope overlaid with molecular distribution images generated by high mass accuracy mass spectrometry with a spatial resolution of 5µm. “The accurate and high resolution images from the iMScope TRIO will drive research in a broad range of biological and clinical applications including disease-specific markers based on differences in molecular distribution in normal and diseased tissues and pharmaceutical drug distribution, metabolism and toxicology,” says Shimadzu. In terms of features, the system is equipped with an ultraviolet laser that can be narrowed to a minimum 5µm beam diameter and its mass spectrometry imaging achieves a spatial resolution of 5µm. The system elucidates the layered structure of lipids contained in tissues as little as 10µm thick. Optical images obtained with a high resolution optical microscope and mass spectrometry images can be overlaid using a dedicated software application enabling information rich data analysis. High mass accuracy mass spectrometry data is generated by the ion-trap TOF (time-of-flight) MS. According to Shimadzu this technology delivers an unparalleled degree of information for molecular identification using mass spectroscopic analysis. The design not only also supports high resolution spatial imaging, but also can be used as separate interface to LC for high mass accuracy LC/MS/MS analysis. 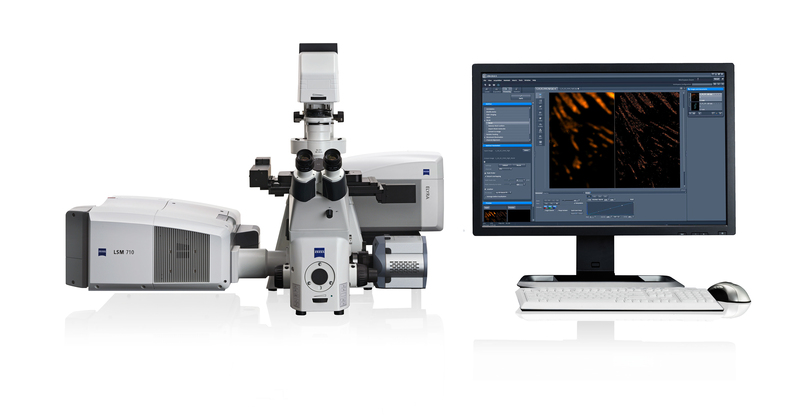 Finally, Zeiss is to provide imaging tools such as its Elyra technology (Fig. 2) for use in the US National Institutes of Health (NIH) Brain initiative as part of a US$12 million (€9.5 million) public-private collaboration with UC Berkeley to support its Brain Microscopy Innovation Centre (BrainMIC). The US Brain initiative is focused on advancing tool development in neuroscience including microscopy and advanced imaging technologies. As a result of this collaboration, the Brain MIC will be able to fast-track microscopy development for emerging neurotechnologies.